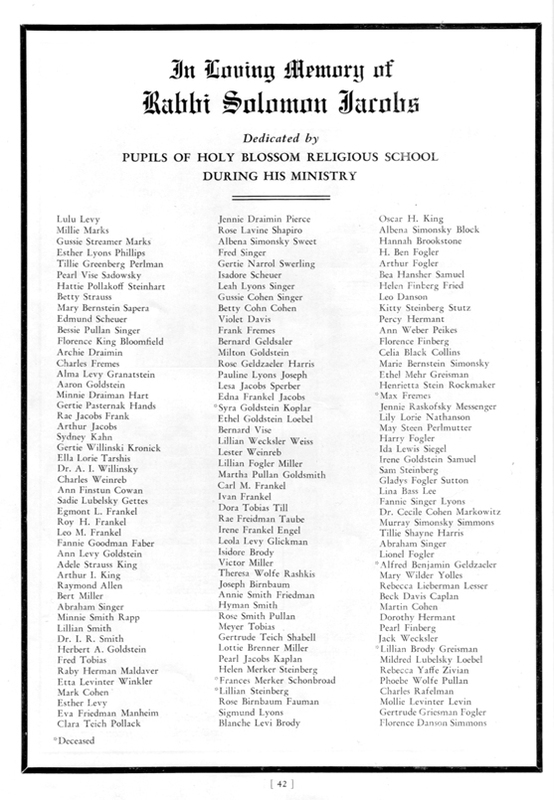 The following lists originate in the 1938 Dedication Booklet of the Holy Blossom Temple on Bathurst Street, Toronto. 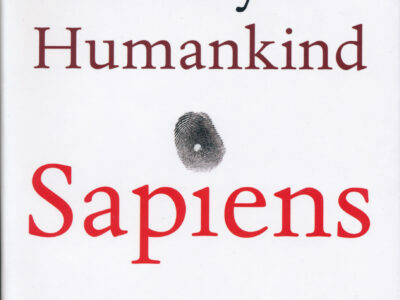 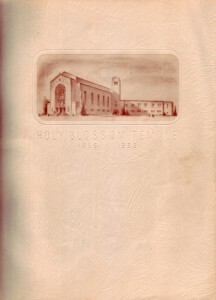 (Cover of the booklet is shown at right.) 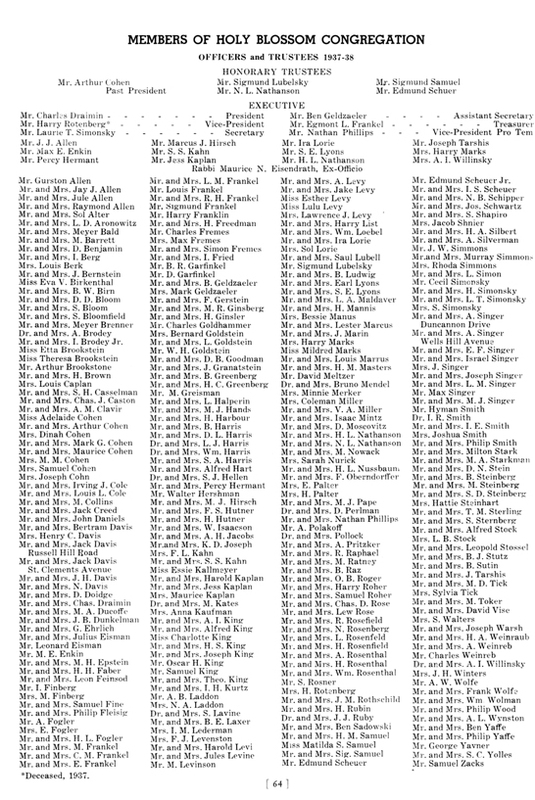 The lists could prove useful for genealogists researching Jewish families in Toronto in the late 1930s. 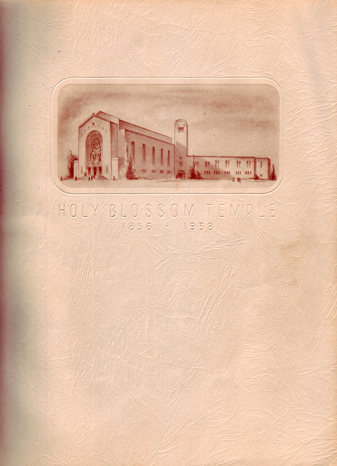 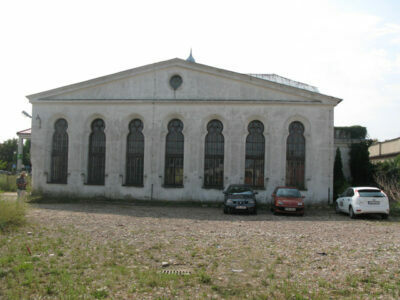 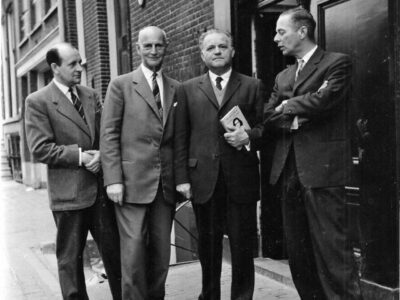 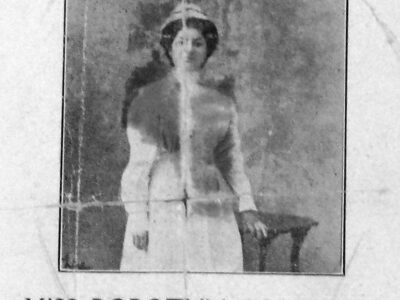 Holy Blossom was then the best-known and probably the largest congregation in Toronto. 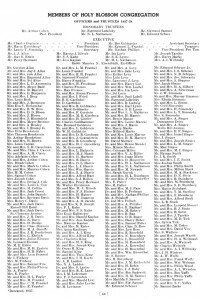 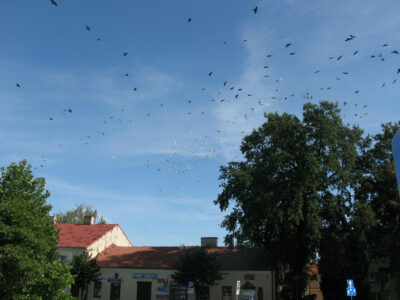 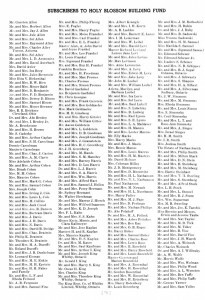 The first item below (064) is a list of members of HB in 1937-38. 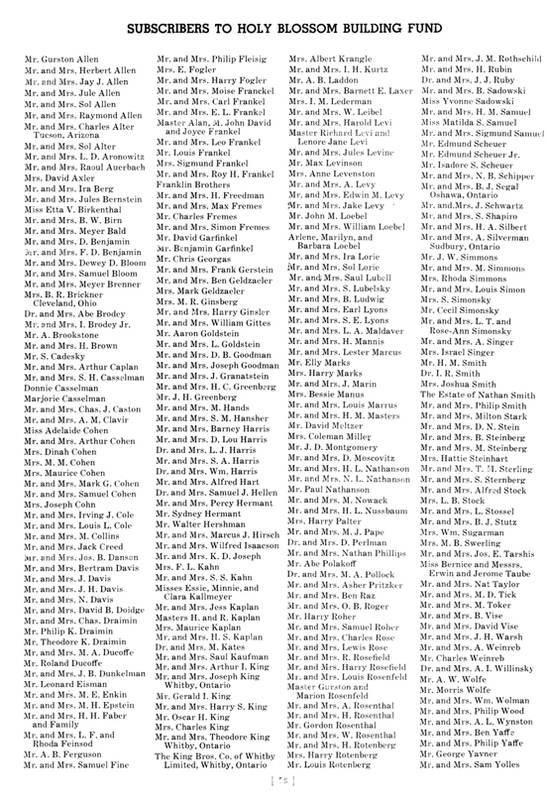 The second item below (058) is a list of “subscribers” (donors) to HB’s building fund. 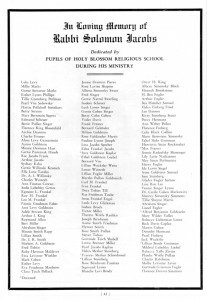 The third item below (042) is a list of HB pupils who in 1937-38 contributed to a fund in memory of the late Rabbi Solomon Jacobs.